German is spoken by about 126 million people, and is the tenth most common language on earth! 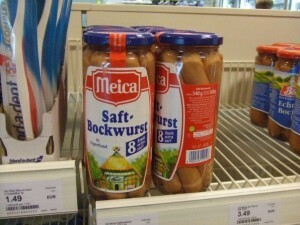 Many people around central Europe in the countries bordering Germany know it as a first language, or at least very well. There used to be many displaced Germans in the former Soviet Union, but this is being reduced over time. If you are moving to Europe, German is a helpful language to know. 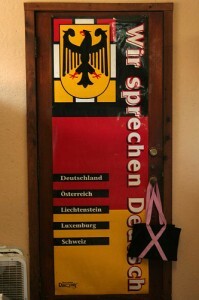 Where it all started, Germany, or Deutschland, contains about 82 million German speakers, among natives and foreigners. Germans often take pride in their form of this language, though there are regional differences. German is Austria’s official language, and it has a populated of about 8 million. There are several differences between German and Austrian spoken dialect, but they can understand each other easily. Around 65 percent of Swiss people speak German. The rest speak French, Italian or Rhaeto-Romansch. It is the only German speaking nation not in the EU or on the Euro. However, Swiss speak Swiss German and Germans often have a hard time understanding it. This tiny country has a population of 30,000. Its capital has neither a train station nor airport, and only has 5,000 people. It is located between Austria and Switzerland, and has a German newspaper. Luxembourg is located on Germany’s western border, and it is considered a German-speaking country. French is used for place names and street names, but the citizens speak Lëtztebuergesch, a version of German, in daily life. The Alsace Region is located adjacent to Germany and Switzerland, on the Rhine. Most of the population used to speak German, but it is moving towards French, and the place names have often been changed to French. There are about 500,000 German speakers in Poland, mainly concentrated in Silesia. Around 50,000 German speakers reside in the Czech Republic. It used to be the main language of Prague, about 100 years ago. Many elder Czechs know German but will rather not speak it out of resentment for Nazi occupation. There are about 200,000 German speakers in the Italian region of Balzano. 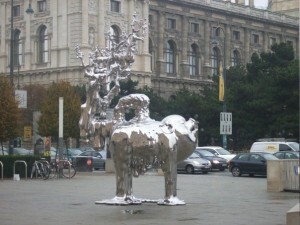 It used to be an Austrian-Hungarian capital. In 1926, it was an ethnic German city with 95% German speakers. It went under an Italianization program under Mussolini, but some German speakers do still exist. About 150,000 German speakers are in Romania, but this number is decreasing. About 15,000 German speakers live here. Many people are taught German in schools and know it as a second language (rather than English in many European countries). Outside of Europe, there are several German districts in North America (many in Pennsylvania), as well as Kazakhstan, Uzbekistan, Namibia, Argentina, Paraguay. You forgot the Easternmost part of Belgium, around Eupen, where German is the official language.